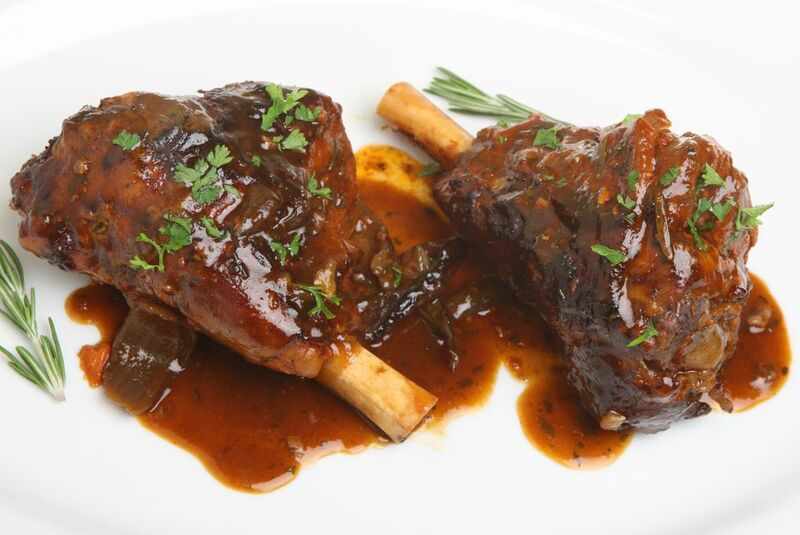 Braised and slow simmered in a balsamic reduction, this lamb shank is incredibly tender. Ingredients: New Zealand lamb, carrots, onion, garlic, jalapeños, fresh herbs, spices, balsamic vinegar, chicken stock, plum tomatoes, cornstarch, sea salt, black pepper. 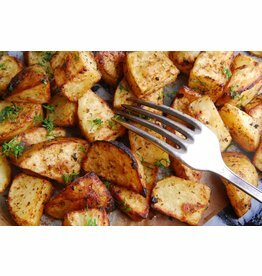 Reheats in the oven or stovetop. 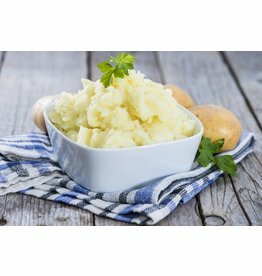 Chef's Tip: Serve with our Yukon Gold Mashed Potatoes. 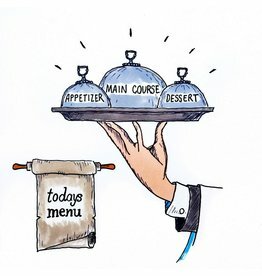 This is one of our favourite dishes. 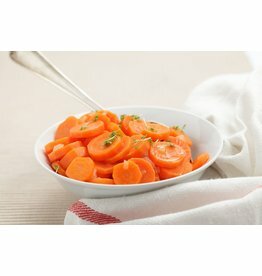 Paired with the mashed potatoes and ginger carrots it's a special, tasty and very filling meal. Braised Lamb Shanks served over Yukon Gold Mashed Potatoes. 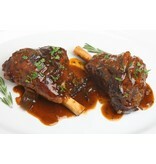 A delicious dinner party featuring New Zealand lamb shanks. Entertaining is a breeze with this package!